Carmen and I made a FAQS regarding our permanent hair color and natural hair. Both of us have professional permanent hair color. We do believe that we are considered "natural" within the natural hair community because neither one of us has experienced a PERMANENT hair texture difference nor is our hair damaged (falling out/ breaking off) from our permanent color. 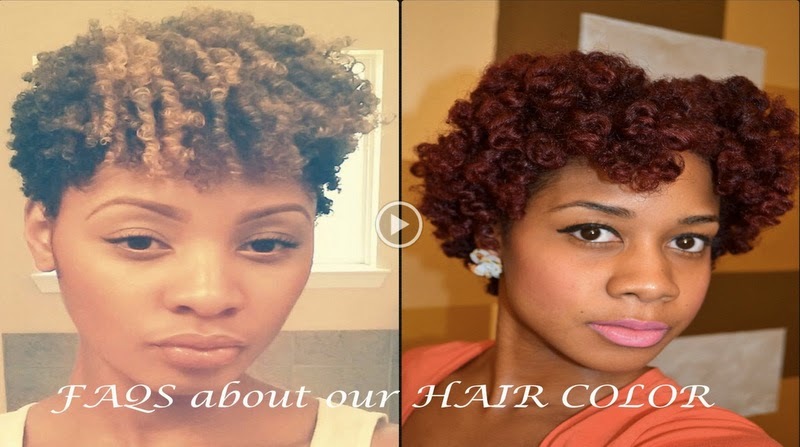 Our goal is to embrace the texture and the versatility of natural hair. What's your process? What has your experience been?